Old Spice had a problem. Their customers weren’t leaving them for a competitor, cutting back on luxuries, or trying home-made alternatives to aftershave. They were, quite literally, dying off. Old Spice had such extreme customer loyalty and branding power that their customers used their aftershaves – and other products – right into the grave. Unfortunately, not too many new customers were taking their place. Younger potential consumers associated the brand with retirement homes and high-waisted pants. Old Spice needed to find a new market! While it’s fantastic to have a well-thought out, strong and memorable brand image, it may not be enough to keep you in business forever. You see, brand association is more powerful than we give it credit for – especially in terms of anything scented (so if you work with anything that relates to the nose, listen up!). Smell is the fastest way to jog memory – that’s why so many retailers use scent in their stores (it has a huge effect on buying behavior)! In the case of Old Spice, they were so incredibly in touch with their customers that those customers (aging men) were all anyone else thought of when they thought of Old Spice at all! As you can see, associations can be positive, and still be terrible for your bottom line. Old Spice was the pinnacle of consistent and strong branding… and no one under 30 wanted to be caught dead wearing the stuff! Sure, lots of people had wonderful associations with the unique scent of Old Spice aftershave – we all loved spending time with our grandfathers and other relatives. But you probably couldn’t get a date wearing it. All Men Need Old Spice, But Only OLD Men Buy It! If you’re around for a long time, it’s appealing to stick with what you know works. I mean, you got to where you are now by being consistent, having strong messaging, and appealing to your demographic. Generally, keeping people happy is a great strategy for a business. It worked for Old Spice for a long, long time, after all. But this can backfire, like it did for Old Spice, if your customers are so loyal and dedicated to your product that they effectively deter new customers from getting in on your action. But they’re your customers – you have a history together, you’ve changed and grown and travelled the years together. You’re living the dream! Unfortunately, if you make a lifelong pact with your customers that doesn’t allow new users to enter the game and grow with you – you’re lifespan is going to be exactly one lifespan. Your loyalty to your current customers, and theirs to you, is something that you should always try to protect. But there are ways you can do that and still appeal to people who are currently outside of it. A stranger is just a potential customer you haven’t gotten to know yet. Old Spice had revamped their aftershave and deodorant lines, and created a bodywash, all in the aims of attracting new, young users. They had a couple of fun, edgy ideas that they played with, including a slogan for their body wash: The Original. If your grandfather hadn’t used it, you wouldn’t exist. It was a good start, younger men got a kick out of the slogan, and sales inched up – but it wasn’t the sea change that the company was hoping for. So then Old Spice hired Isaiah Mustafa to become The Man Your Man Could Smell Like, a new spokesperson for a new chapter in Old Spice’s story. You see, Old Spice had done some research, and while they wanted more men to be using their products, they realized that the way to make it happen wasn’t to tell them how cool it was, or how it would make women drool over them. Nope, trying to get men to buy hygiene products in fancy bottles was absolutely the wrong way to go. It was women they wanted buying Old Spice products. Women, who were responsible for 80% of household spending. Women, who would get a kick out of “Old Spice Guy”, and slip a bottle into their basket during the next grocery trip or drugstore run. Do men want to be him? Maybe. Do they want to smell like him? Possibly. Do women want their men to smell like him? Probably. The Man Your Man Could Smell like was the fastest growing online viral video campaign. Ever. It got 6.7 million views in 24 hours. Old Spice Guy, as he’s colloquially known, was so absurd and delightful that people had to share him, and watch him over and over again. You can bet that a large portion of those 6.7 million viewers weren’t current old spice users. Nope – they were almost all new eyes, and they wanted in. No business can expect to be able to do the same thing, in and out, month after month, year after year, and stay afloat. You have to be ready to step outside your comfort zone and try something new. Old Spice knew that the customers who had been loyal to them for years were valuable – but not so much so that they could afford not to find new business. Looking at competitive market research, buying behavior and new media allowed Old Spice to explode onto the radars of an entirely new demographic. All it took was figuring out who they were, and giving them something that they enjoyed. You and your customers don’t exist in a vacuum – there’s a whole world of people and other companies out there. 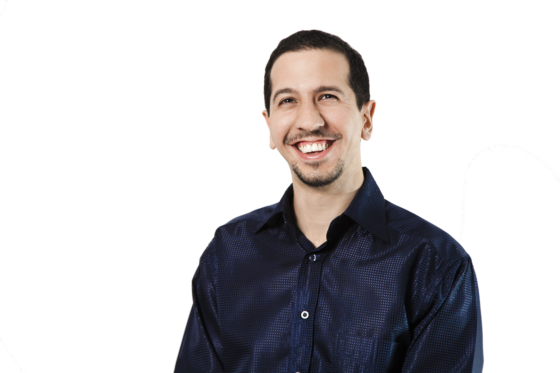 It’s entirely possible that there are hundreds or thousands (if not hundreds of thousands) of people who would love to take advantage of your offer – but you they don’t know about it, because you aren’t speaking to them. Take a good, hard look at your messaging, and your ONE person. Is that still the right person for where your business is today, and where you want to take it tomorrow? Maybe, but it’s quite possible that either they’ve changed, or you have. Make a list of potential other target customers, and spend a little time just imagining how you could reach them. Draw up new customer profiles and get to know their personas. Look at your messaging in terms of one of these alternatives. Does it hit the right buttons for them? Can you get the message to where they’ll see it? Changing who you’re talking to is a big step, and it can be scary, but it can totally reinvigorate you, and let you break into entirely new markets. Let us know in the comments if you enjoyed this Old Spice case study and what your takeaways were. I’ve always thought those were the most clever ads. 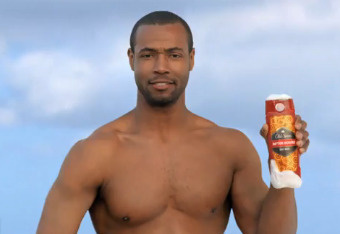 I would never have associated Old Spice with younger men until I saw Isaiah. That sure got my attention! OK, I still don’t buy the product, but I love the ads. I must confess, I actually encouraged my partner to pick up some Old Spice on the basis of the ads. Now he’ll occasionally turn to me in the bathroom and say “I’m on a horse.” It’s amazing. They definitely have changed the market perception. I personally no longer view them as the “old guy” brand. I did growing up. But great marketing and product development can work wonders for a brand. Great synopsis! Not many brands can claim this kind of a successful shift!